Still trying to get some of my Christmas gifts done. I play in a handbell choir for local church and I wanted to give each of the players a little something special. 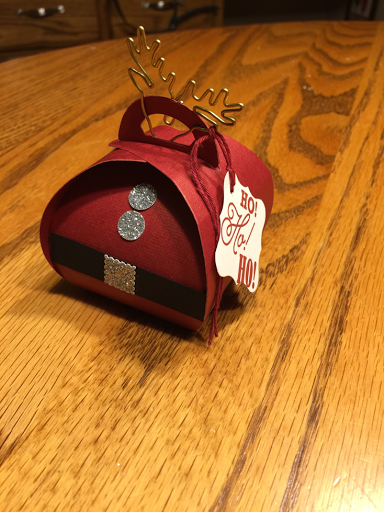 So I made this Santa Claus box using my curvy keepsake framelit. Turned out pretty cute. 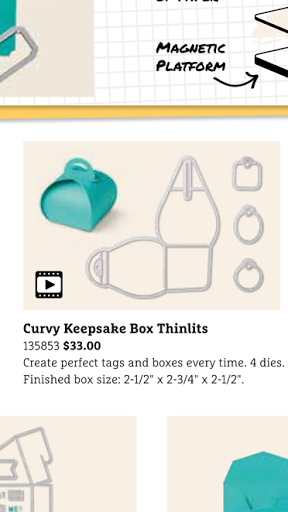 The reindeer paperclip is a retired product but the Curvey Keepsake Framelit is still available. Page 191 of the annual catalog.